Rudolf Trenkel was born on 17 January 1918 at Neudorf in the Ballenstedt region of Sachsen. He joined the army in 1936 but transferred to the Luftwaffe in 1939.  On 22 February 1942, Trenkel was posted to JG 77 based on the southern part of Eastern front. Unteroffizier Trenkel was assigned to III./JG 77. He flew with 7./JG 77 and on 26 March he claimed his first victory over I-153 biplane fighter. Trenkel was transferred to JG 52 based on the Eastern front on 1 May 1942. He was assigned to the Geschwaderstab. He claimed three victories serving with this unit. On 15 June 1942, Feldwebel Trenkel was transferred to 2./JG 52 based on the Eastern front. Trenkel recorded his 20th victory on 2 November. On 17 December, Trenkel shot down six enemy aircraft to record his 23rd through 28th victories. He recorded five victories on 16 April 1943 (46-50) and four victories on 2 June (73-76). Trenkel was transferred to Ergänzung-Jagdgruppe Ost in June 1943. Reputedly he claimed three victories with the unit. Oberfeldwebel Trenkel was awarded the Ritterkreuz on 19 August for 76 victories. In October 1943, Trenkel returned to front line duty with 2./JG 52. He claimed 18 victories during October. However, on 2 November, he was shot down in Bf 109 G-6 (W.Nr. 140 167) “Black 3” by a Russian Yak-9 fighter and badly wounded. 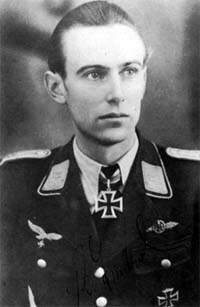 Following his recovery from the wounds received in November 1943, Trenkel trained as an officer and transferred to Stab/JG 52 with the rank of Oberleutnant. On 14 July, Trenkel claimed his 100th victory. On 15 August 1944, Trenkel was appointed Staffelkapitän of 2./JG 52. In October, Trenkel claimed 12 victories in 10 days but was shot down five times. On 15 October, Trenkel shot down six enemy aircraft (122-127). He was shot down again on 15 March 1945 by flak. Trenkel baled out of his stricken Bf 109 G-14 (W.Nr. 465 260) “Black 12” wounded. Following the surrender, US troops handed over Trenkel to the Russians. However, after four weeks, he was repatriated due to the deterioration of the wounds received in his last combat. He died on 26 April 2001. 7:23 LaGG-3 2./JG 52 85 ??? 10:50 LaGG-3 2./JG 52 85 ?? ?